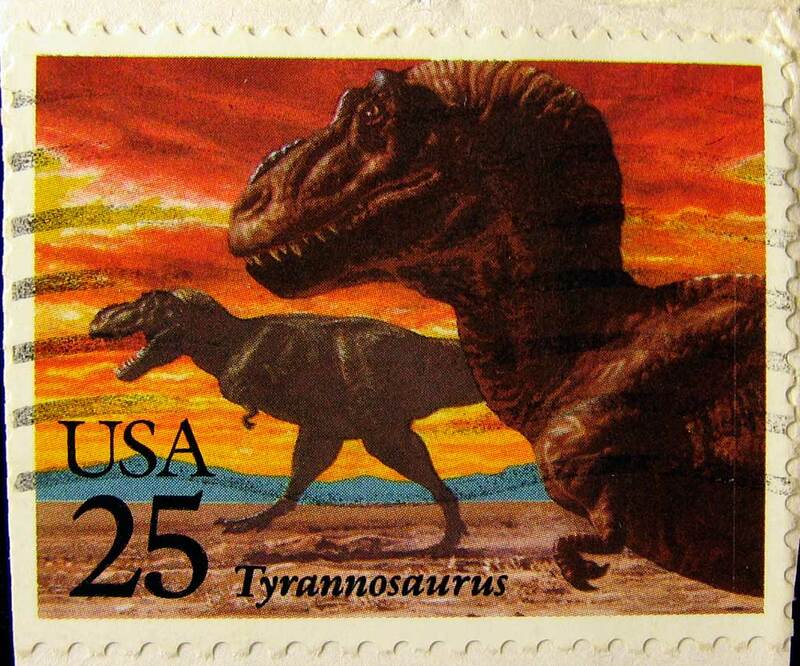 Back when dinosaurs roamed the Earth and it only took a 25 cent stamp to mail a letter in the United States. Ahhh, now both such creatures are extinct. Rummaging around in my stamp collection I found this cancelled stamp collected over 20 years ago. It was part of set of 4 dinosaur/reptile stamps the U.S. Postal Service released in 1989. The animals they selected were the Tyrannosaurus, Stegosaurus, and Brontosaurus (Apatosaurus shown on stamp). The fourth animal on the stamps was the Pteranodon which is not a dinosaur but a flying reptile. UPDATE: I originally grouped the Pteranodon in with the dinosaurs but an observant reader pointed out that it is really a reptile in the pterosaur genera. To quote the Pteranodon entry on Wikipedia: "Pteranodon was a reptile, but not a dinosaur. By definition, all dinosaurs belong to the groups Saurischia and Ornithischia, which excludes pterosaurs. Nevertheless, Pteranodon is frequently featured in dinosaur books and is strongly associated with dinosaurs by the general public."